Just over four months after the government decided to hike their feedstock prices as part of efforts to overhaul the economy and curb state spending, Saudi Arabia’s downstream players are still divided over the extent to which the reforms are impacting their business. With oil prices still hovering in the $40s per barrel, one of the main priorities for the kingdom this year is to boost production of higher-value petroleum products, including speciality chemicals and plastics. And lifting feedstock prices appears counterproductive to some executives in the sector. 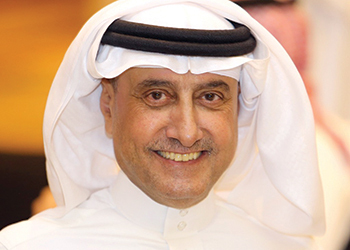 "Increasing the cost on the industry does not make any sense, I’m sorry," Mutlaq Al Morished, chief executive of Saudi-listed National Industrialisation Co (Tasnee), says in an interview. Tasnee has interests in chemicals, petrochemicals and metals. "I am in the downstream industry. Tasnee is one of the largest downstream players in Saudi Arabia and this increase is not going to make our life easier – it’s going to make it difficult ... it will slow down progress for sure," Al Morished says. In a landmark move aimed at bolstering government revenue amid low oil prices, the kingdom in late December increased natural gas prices to $1.25 per million Btu and ethane prices to $1.75/mmBtu – after both had been fixed at a highly competitive 75¢/mmBtu since 1998. The price hike had an immediate impact on companies using gas and ethane feedstock, except for those consumers possessing contracts with the government that guaranteed old prices over a certain period. Saudi Basic Industries Corp (Sabic), one of the world’s largest chemical makers, earlier this year announced that the hike would impact its profit by around 5 per cent. However, the firm’s chief financial officer, Mosaed Al Ohali, says that his firm had been "weathering" the current environment well by increasing its efficiency and maintaining a strong customer base. "(The) oil price is impacting everybody in the chemical market, which is being reflected in our profitability. We pride ourselves (on the fact that) our decline is the least among our competitors in Q1 this year," says Al Ohali, adding that Sabic’s biggest loss had come in its metals business rather than its core chemicals segment, although the company has no plans to exit metals. Asked how Sabic’s relationship with Saudi Aramco would change once the oil giant is listed and will need to make feedstock sale decisions on a commercial basis, Al Ohali says the Saudi Ministry of Petroleum is the authority that determines the price and allocation of feedstock, not Aramco. "We get our feedstock allocations through the regulator, which is the Ministry of Petroleum, and then Aramco is just the execution of the feedstock (allocation) – they don’t get into the pricing of it," he says. It is still unclear whether the allocation role may be transferred to Aramco post-listing, however – a matter Al Ohali declined to speculate on. Deputy Crown Prince Mohammed bin Salman recently said oil policy decisions would be mainly made by a listed Aramco’s board. One of the objectives for Sabic this year continues to be seeking opportunities for shale gas development in the US. Such shale assets may be able to displace a slice of the company’s future domestic feedstock supply. But in terms of making fresh investments, downstream players are still waiting for more signs of a market recovery.